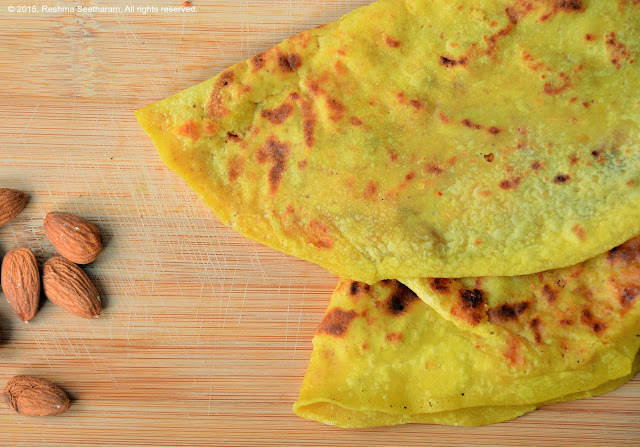 Paratha is special flat bread found all over India and other parts of the world. This layered bread is usually made of wheat or all purpose flour and pan fried on a skillet. Parathas come in all shapes and sizes. They are either stuffed or plain. This is a plain layered paratha with mint and garlic. 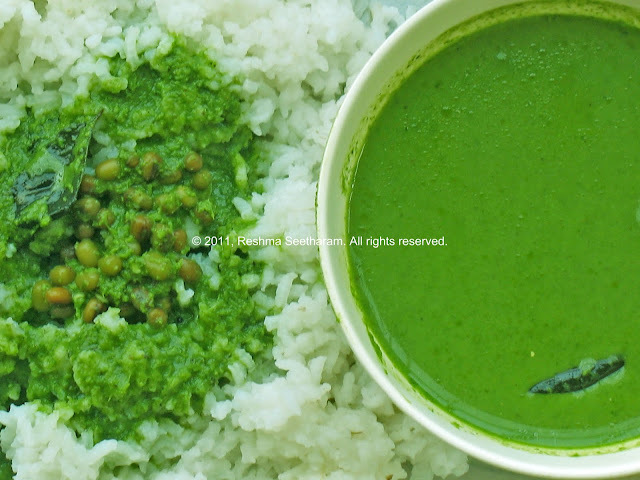 Can be eaten as is, with a dollop of butter/ghee or dipped in sauce or curry. Mix the ingredients together thoroughly with 1 tsp oil. Add warm water and mix the mixture to form firm dough. Cover and let it sit for about 15 minutes to an hour. Divide the dough equally into 8 lemon sized balls. Set a medium saucepan or flat pan on medium heat. On a rolling board, or flat surface, dip a dough ball in a little flour dust, and roll it out evenly to form a palm sized flat round bread. Spread ½ tsp of butter/ghee/oil on the top, then sprinkle some flour on it. Roll the bread from one end to the other into a pipe. Holding one tip of the pipe, and turn it down into a circular coil. This gives it the layers. Dust the surface with flour to prevent it from sticking to the surface. Roll it out into fairly thick bread. Turn the paratha on to the hot pan. Turn it around a couple of times and flip it over until it puffs and gains a golden brown color. You may add a little oil/ghee just before you take it off the pan. It makes the outer layer crisp. Serve it hot with a delectable curry/sauce or chutney. Enjoy!